After months of speculation and thousands of rumours, Marvel Studios have finally given us our first glimpse at the brand new trailer for the fourth Avengers movie. 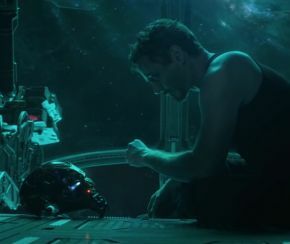 And with that first glimpse, we can also reveal that the formerly titled Avengers: Infinity War – Part II, is officially called Marvel’s Avengers: Endgame. The 22nd instalment in the Marvel Cinematic Universe, the universe is in ruins due to the efforts of the Mad Titan, Thanos, during Avengers: Infinity War. With the help of remaining allies, the Avengers must assemble once again to undo Thanos’ actions and restore order to the universe once and for all, no matter the consequences. This movie is set to bring the mammoth 22 movie story arc to a close and open the doors to a brand new MCU, beginning with Spider-Man: Far From Home (2019). Endgame will also mark the first appearance of Ant-Man, Captain Marvel and Rocket Raccoon in an Avengers film. It will also, hopefully, reveal where Jeremy Renner’s Hawkeye was hiding during his three year absence. This certainly looks to be an emotional end to an epic journey that began in 2008. But we won’t say everything that happens. We’ll let you see for yourself! Do you like what you’ve seen? Was the build-up worth the wait? Let us know down in the comments section! Marvel’s Avengers: Endgame will be released on 26th April 2019.